The federal income tax rules on qualified residence interest have been around for many years, but there’s always a steady flow of disagreements between the IRS and taxpayers on these rules. Here are some background materials and recent developments on qualified residence interest that may affect you. Unlike most other types of personal interest, qualified residence interest can be claimed as an itemized deduction on your federal income tax return. Qualified residence interest is defined as interest on up to $1 million of acquisition debt plus interest on up to $100,000 of home equity debt. 2. Secured by such residence. Home equity debt is debt (other than acquisition debt) that’s secured by a qualified residence. Unlike acquisition debt, the proceeds from home equity debt can be used for any purpose without affecting the deductibility of the interest under the regular tax rules. However, interest on home equity debt is deductible under the alternative minimum tax (AMT) rules only to the extent that the proceeds are used to acquire, construct or substantially improve a qualified residence. The definition of a qualified residence includes your principal residence and up to one additional personal residence. If you own two or more additional residences, you can specify which one is treated as the second residence for each tax year for purposes of applying the qualified residence interest rules. Important note: The $1 million and $100,000 debt limits are halved if you’re married and file separately from your spouse. However, this article focuses on the typical scenario in which married taxpayers filed together. So, for the rest of this article, the married-filing-separately distinction will be disregarded. In contrast, if the qualified residence interest debt limits could be applied on a per-taxpayer basis, each of the two unmarried co-owners would be entitled to a separate $1 million limit for acquisition debt and a separate $100,000 limit for home equity debt, for a total combined debt limit of $2.2 million. (This is twice the limit for a married couple.) When unmarried individuals co-own expensive homes with big mortgages, this issue is a big deal. However, another recent case, Bruce Voss v. Commissioner (2015, 9th Circuit), provided a major victory for wealthy, unmarried taxpayers. Thanks to that ruling, unmarried co-owners of homes with large mortgages can now deduct interest on acquisition and home equity indebtedness on a per-taxpayer basis, rather than a per-residence basis, for a total combined debt limit of $2.2 million. In a recent U.S. Tax Court summary decision — Barton Slavin (T.C. Summ. Op. 2016-28) —the taxpayers were a married joint-filing couple. They executed a seller-financed mortgage to purchase a rental property from family friends. The loan was a balloon-payment note that called for the taxpayers to make two interest-only payments per year, with the principal due at maturity. After failing to make the required interest payments in 2008 and 2009, the taxpayers entered into a mortgage modification agreement that capitalized the unpaid interest into the principal amount of the modified loan. The taxpayers argued that they were entitled to deduct the capitalized interest, because the agreement constituted a substantial modification of the loan. Not surprisingly, the Tax Court disagreed. It concluded that cash-basis borrowers can’t currently deduct interest that’s simply added to a loan’s principal balance. In James Jackson (T.C. Summ. Op. 2016-33), the taxpayer lived with his girlfriend in a house that she bought in 2005. The girlfriend was listed as the sole owner on the deed and was legally responsible for the mortgage. The taxpayer claimed he transferred $1,000 in cash to the girlfriend each month to make interest-only mortgage payments on the residence and was, therefore, entitled to claim qualified residence interest deductions. 2. Prove that he had any beneficial or equitable ownership of the residence. Under Treasury regulations, a taxpayer’s home mortgage interest can meet the definition of deductible qualified residence interest if the taxpayer is the legal or equitable owner of the mortgaged property, even though the taxpayer isn’t directly liable for the mortgage. In Qui Van Phan (T.C. Summ. Op. 2015-1), the taxpayer didn’t hold legal title to the mortgaged property, and his name didn’t appear on the mortgage. He was under an oral agreement to purchase the property from family members, however. On his federal income tax return for 2010, the taxpayer reported deductible home mortgage interest of $35,880. The U.S. Tax Court concluded that he’d provided clear and convincing evidence that he was an equitable owner of the property. That is, he paid the mortgage, taxes, insurance and other bills associated with the property. He also maintained it and made improvements. Therefore, the Tax Court ruled that he was entitled to deduct the mortgage interest under the qualified residence interest rules. The federal tax rules for deducting home mortgage interest will cause controversy for years to come, because many taxpayers see them as unfair and somewhat ambiguous. 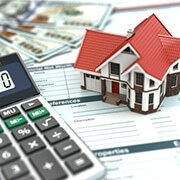 Uncertain taxpayers will continue to test the waters, based on the unique facts and circumstances of their specific residential mortgages. Consult your tax advisor if you have questions or want more information about deducting qualified residence interest.